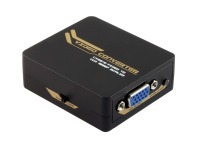 Composite Video & S-Video to VGA Converter and Upscaler + FREE SHIPPING! Convert Composite AV + S-Video signals to HDMI @ 1080p! Convert from old analog standards to VGA with selectable upscaling! Converts from Composite Video (CVBS) OR S-Video source(s) to a HDMI display. Features selectable-resolution VGA upscaling (see table below), and selectable video input. An easy solution for Retro Gaming Consoles, VHS/Betamax/Laserdisc players and any other old AV gear that needs video converted to VGA. 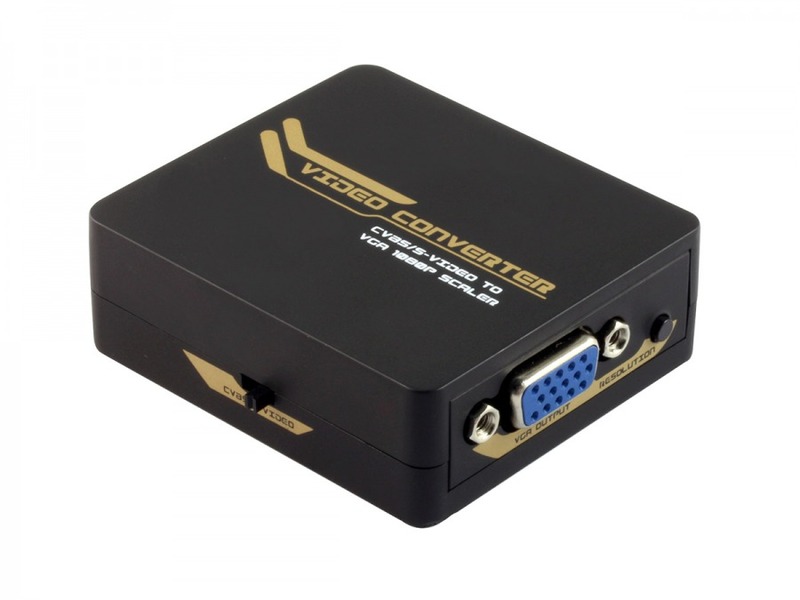 This video-only converter can accept either Composite Video (CVBS via 1x RCA) or S-Video and turn it into crisp VGA at a variety of output resolutions quickly and easily. It's a set-and-forget solution with a switch alongside for changing between input types, making it possible to have both CVBS and S-Video devices connected and swap between them on the fly. Image quality results are limited by the fidelity of your source material and the lowly capabilities of composite and S-video signals, but the upscaling VGA output works to get the best clarity from your source device without spending big money on broadcast quality gear.